AAMC is pleased to be hosting the next of our In-Conversation series, Spark: Igniting Curiosity, the Curator’s Impact. Join our speakers for an active discussion on the often under-emphasized role of the curator in creating value, sparking interest, and establishing meaning aesthetic experiences for museums' audiences. Curators are intensely aware of the ways in which the research, collection and presentation of art creates value, sparks interest, and establishes meaningful aesthetic experiences. This responsibility is at the core of curatorial work, yet often under-emphasized. Recognizing the role that collection building, exhibition conception [or, ideation] and design, digital platform enhancement and virtual audience expansion has in how our communities interpret and appreciate art is a critical aspect of curatorial work. Equally important are current discussions of inclusion and access through art, as a key way of developing curatorial projects. We will be discussing these issues with our participants, and invite an active engaged audience to join us. Registration closes Friday, June 16, 12 PM ET. Filiz Çakır Phillip (PhD, Freie Universität Berlin) is Curator at the Aga Khan Museum in Toronto. She previously worked as a curator at the Museum für Islamische Kunst in Berlin and was Senior Fellow at Excellence Cluster TOPOI and Research Fellow at both the Kunsthistorisches Institut – Max-Planck-Institut in Florence and the Metropolitan Museum of Art in New York. Çakır Phillip is the author of Enchanted Lines: Drawings from the Aga Khan Museum Collection (2014) and Iranian Arms and Armour from the 15th–19th Centuries (2016). She has curated numerous exhibitions, i.a. since the opening of the Aga Khan Museum in 2014 In Search of the Artist: Signed Drawings and Paintings from the Aga Khan Museum Collection (2014), which was the Museum’s first temporary exhibition; Inspired by India: Paintings by Howard Hodgkin (2015) and Visions of Mughal India: The Collection of Howard Hodgkin (2015); A Thirst for Riches: Carpets from the East in Paintings from the West (2015), in collaboration with the Metropolitan Museum of Art; Marvellous Creatures: Animals in Islamic Art (2016) in collaboration with the Museum of Islamic Art in Doha, Qatar. Her most recent exhibitions were A City Transformed: Images of Istanbul Then and Now (2016) and Syria: A Living History (2016). She is currently preparing an upcoming exhibition of a Genovese collection. Dr. Nancy Campbell has been a contemporary art curator for the past twenty years. She has held positions at the Art Gallery of Ontario, the University of Guelph, the McMichael Canadian Art Collection and The Power Plant. In 2006 she curated an exhibition for The Power Plant of the work of Inuit artist Annie Pootoogook that travelled nationally and internationally, propelling Pootoogook to be included in Documenta 12 and winning the Sobey Art Prize in 2007. Since that time Nancy has focused her curatorial practice on the contemporary Inuit producing many exhibitions attempting to bridge the Inuit with the contemporary art. Dr. Deepali Dewan is the Dan Mishra Curator of South Asian Art and Culture at the Royal Ontario Museum, Toronto, overseeing a collection of 10,000 objects that span 3500BCE to the present day. She is also an Associate Professor in the Department of Art at the University of Toronto. Her research focuses on the history of photography in India with a view toward understanding how photography has shaped contemporary ways of viewing and being in the world. She is the author of Raja Deen Dayal: Artist-Photographer in 19th-Century India (2013, co-authored with Deborah Hutton), Embellished Reality: Indian Painted Photographs (2012), and the editor of Bollywood Cinema Showcards: Indian Film Art from the 1950s to the 1980s (2011). All three were accompanied by exhibitions. Her interest in vernacular photographs has manifest in recent projects around family photography. In 2015, she curated “Generations: Annu Palakannathu Matthew,” featuring six bodies of work exploring the powerful appeal of family photos and how they shape identity and memory. Her current exhibition project, “The Family Camera,” explores how family photographs reflect and shape experiences of migration. Both these projects, and the research associated with them, aims to think differently about family photographs and insert them more firmly into a history of photography. Sophie Hackett is the Curator, Photography, at the Art Gallery of Ontario (AGO) and adjunct faculty in Ryerson University’s master’s program in Film and Photography Preservation and Collections Management. She continues to write for art magazines, international journals and artist monographs, including “Queer Looking: Joan E. Biren’s Slide Shows” in Aperture (spring 2015) and “Encounters in the Museum: The Experience of Photographic Objects” in the edited volume The “Public” Life of Photographs (Ryerson Image Centre and MIT Press, 2016). Hackett’s curatorial projects during her tenure at the AGO include Barbara Kruger: Untitled (It) (2010); Songs of the Future: Canadian Industrial Photographs, 1858 to Today (2011); Max Dean: Album, A Public Project (2012); What It Means To be Seen: Photography and Queer Visibility and Fan the Flames: Queer Positions in Photography (2014); Introducing Suzy Lake (2014); and Outsiders: American Photography and Film, 1950s–1980s (2016). In 2017, Hackett is the lead juror for the Aimia | AGO Photography Prize and is launching the AGO’s new gallery for the Photography Collection. She is a 2017 Fellow with the Center for Curatorial Leadership. Luis Jacob lives in Toronto, Canada. Working as artist, curator, and writer, his diverse practice addresses issues of social interaction and the subjectivity of aesthetic experience. Recent solo exhibitions include: Habitat, Gallery TPW (Toronto); In a Material World, WORK (London); Show Your Wound, Galerie Max Mayer (Düsseldorf); A finger in the pie, A foot in the door, A leg in quicksand, Kunsthalle Lingen (Germany); The Eye, The Hole, The Picture, McCord Museum (Montreal); Pictures at an Exhibition, Museum of Contemporary Canadian Art (Toronto); Without Persons, Art in General (New York City); Tableaux Vivants, Fonderie Darling Foundry (Montréal); 7 Pictures of Nothing Repeated Four Times, in Gratitude, Städtisches Museum Abteiberg (Mönchengladbach); The Thing, September Gallery (Berlin); Habitat, Hamburger Kunstverein (Hamburg); and A Dance for Those of Us Whose Hearts Have Turned to Ice, and Other Works, Morris and Helen Belkin Art Gallery, University of British Columbia (Vancouver). Recent group exhibitions include: La Biennale de Montréal: "Le Grand Balcon"; Objects Food Rooms, Tanya Bonakdar Gallery (New York); Taipei Biennial 2012: Modern Monsters / Death and Life in Fiction; Surplus Authors, Witte de With Contemporary Art, (Rotterdam); Haunted: Contemporary Photography / Video / Performance, at the Solomon R. Guggenheim Museum (New York) and Guggenheim Museum Bilbao (Spain); Animism, Generali Foundation (Vienna), Kunsthalle Bern (Switzerland) and Extra City Kunsthal Antwerpen (Belgium); Dance with Camera, Contemporary Art Museum (Houston) and Institute of Contemporary Art, University of Pennsylvania (Philadelphia); and documenta12 (Kassel). In 2015, he co-curated the conference “This is Paradise: Art and Artists in Toronto” with Barbara Fischer, in collaboration with Kitty Scott. In 2016, he curated the exhibition “Form Follows Fiction: Art and Artists in Toronto” at the Art Museum at the University of Toronto. Recently appointed Director of Programs at the Museum of Contemporary Art Toronto Canada, November Paynter joins the organization as it commences a distinct phase in its evolution, moving into the heritage Auto Building (formerly Tower Automotive Building) in the Junction Triangle, with a program dedicated to exhibiting, collecting and nurturing contemporary art and cultural practices that engage with issues relevant to our times. 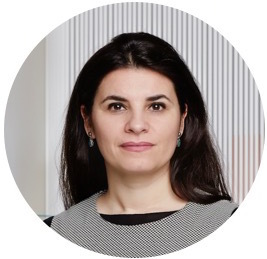 Prior to this she was Associate Director of Research and Programs at SALT, Istanbul and Ankara, from founding until December 2016. She has held the positions of Curator, Platform Garanti, Istanbul; Assistant Curator, 9th International Istanbul Biennial and Director, Artist Pension Trust, Dubai. Paynter’s freelance curatorial work includes projects for Grazer Kunstverein, Graz; Tate Modern, London; Philadelphia Museum, Philadelphia; Artists Space, New York and the Asia Pacific Triennial, Brisbane. Among other commitments she is a jury member for the 5th Jameel Prize coordinated by the Victoria and Albert Museum, London. AAMC Foundation's regional programming series, In-Conversation, looks at important issues facing our museum and art organization community through a curatorial lens. By bringing this series forward, and opening the program to all, the Foundation continues to advance advocacy and inclusion within the curatorial profession. In hosting these programs in central regional areas, we are opening a dialogue within these communities and making connections across institutions. The evening series is organized and supported by the AAMC Foundation. The open discussion format welcomes AAMC leadership, non-profit leaders, and voices from local communities to have an engaging dialogue on a focused subject. Following the discussion, AAMC welcomes the audience and speakers to continue the conversation at a brief reception. Past events have included: Addressing Implicit Bias in Museums, held in Washington, D.C.; Preventing Looting: What Curators & All Museum Staff Can Do held in NYC; Museum Directors on the Curatorial Role, held in Boston; and Art & Social Justice, held in Los Angeles. Founded in 2001, and now including over 1,300 members from over 400 institutions around the globe, we are a strong leader for curators in non-profit settings. The mission of the Association of Art Museum Curators (AAMC) is to support and promote the work of visual art curators in the non-profit sector by creating opportunities for networking, collaboration, professional development, and advancement. In support of these aims, the AAMC Foundation seeks to heighten public understanding of the curator's non-profit role through programs, discussions, and opportunities open to the public and our members. By providing a dynamic forum in which to share ideas and encourage professional development, the Association of Art Museum Curators continues to grow, increasing its visibility and importance to the larger arts community. At the heart of all we do is our goal to celebrate, advance, and advocate for the non-profit curator. Our Strategic Plan’s key facets are diversity and advocacy, which now have devoted Task Forces within our organization, with the goals of furthering opportunities for all curators through creating inclusive programming, seeking to define and expand the definition of curator, promoting the curatorial role within our communities, and supporting the highest standards of curatorial ethics and professional behavior. The program is organized and presented by the Association of Art Museum Curators (AAMC) Foundation. We are grateful to to the Art Gallery of Ontario for so generously hosting. The information presented here is subject to change without notice. The organizers assume no responsibility for any errors that may appear here, and in no event shall the organizers be liable for incidental or consequential damages arising from use of this document or other program-related material. This document and parts thereof must not be reproduced or copied without the organizers providing written permission, and contents thereof must not be imparted to a third party nor be used for any unauthorized purpose. Photograph of Sophie Hackett courtesy of Luis Mora. Photograph of Filiz Çakır Philip by Janet Kimber © The Aga Khan Museum.